Welcome to Crossworders.com, the web's best site for competitive crossword solving! 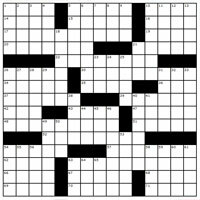 We've got more than 25,000 unique crossword puzzles available for play online. Feel free to solve online just for fun, or, for an added challenge, register a free account and compete against thousands of other solvers to make it into our Crossword Hall of Fame!